Joining a choir is obviously about music; you wouldn't be reading this if you weren't just a little attracted by the notion of making some. To this end, choral singing is particularly special, since your contribution is so uniquely personal; your voice is an extension of your person and the sensation of combining yours with those of your friends is, at its best, palpable; you actually feel the harmony buzzing in your cheek bones. No two choirs ever sound the same and each experience singing with your choir sounds, feels, is different; this is why we want you to join us; nobody else in the world makes a sound quite like you do. We're not only after your voice, however, lovely though it's sure to be. Our choristers come from every walk of life, with students, teachers and publicans singing alongside lawyers, tradesmen and soldiers. 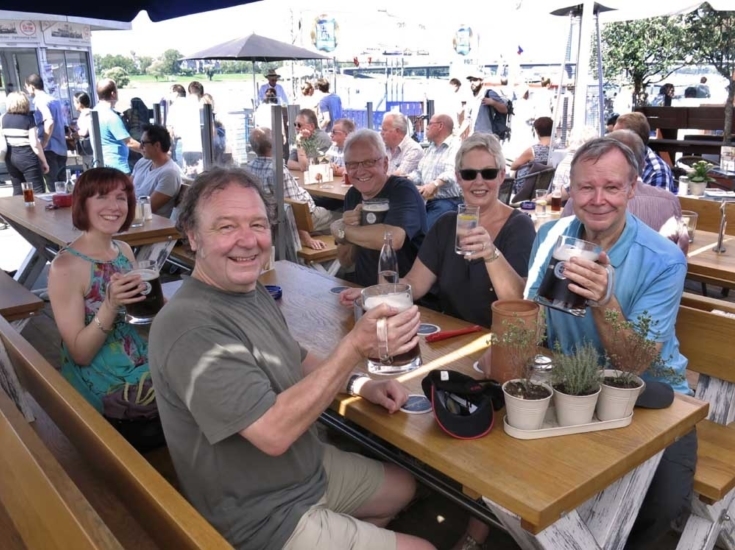 We have members in their teens and twenties to members in their seventies and eighties with all the various quirks, interests and friendship groups that you would expect in an organisation of over 100 voices. As with any great synthesis, our impact is greater than the simple sum of our parts, as testified by continued demand for our concerts at the most prestigious venues in the UK and internationally. But our impact is beyond the merely vocal. We are a choir, but also a club, and a group of friends. 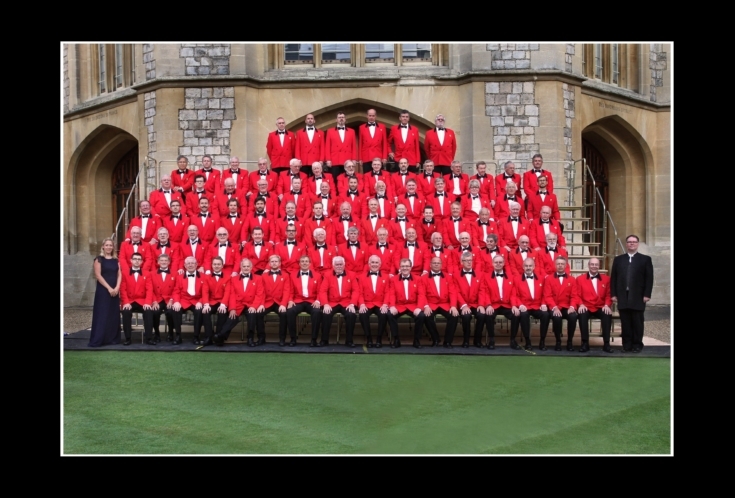 The link with Wales is obvious, and many 'exiles' find comfort in a little home-away-from-home, but the London also is plain to see; audiences comment that part of our charm on-stage is the evident camaraderie afforded by the red jacket, and this is reflected in the warmth of the welcome extended to newcomers. 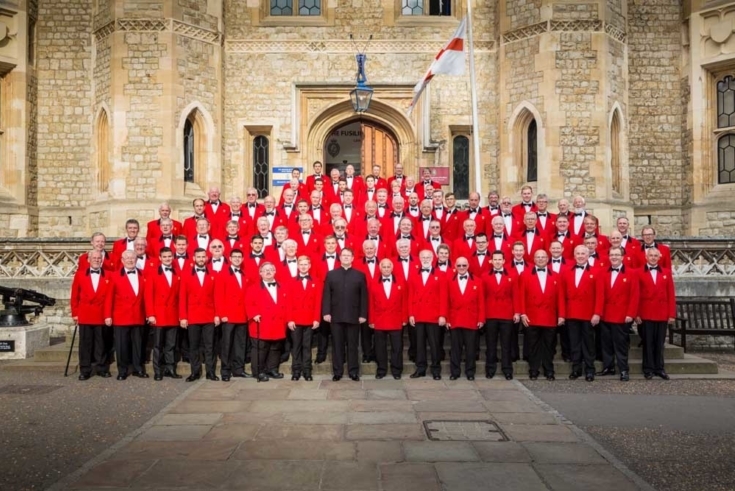 It's a Thursday evening, you're over the 'hump', so indulge yourself with a little advance on the weekend by meeting the London Welsh Male Voice Choir at our weekly rehearsal; if you're still feeling shy, bring a friend and join up together! If you're still thinking about it, delay no longer, but email Mark at secretary@londonwelshmvc.org to arrange for someone to meet you at our next rehearsal; alternatively, you won't go far wrong just turning up at the London Welsh Centre between 7 and 7.30 pm on a Thursday night and asking to join the Choir. You'll have a chat with our MD and then, if you're comfortable, you'll be invited to sit in and have a go; it might seem a little daunting, but you'll be seated with an experienced chorister who'll make it his business to show you the ropes. If you sit in and then decide that it's not for you, that's our loss; however, it's happily rare for someone to go so far as taking those first steps without progressing to join us, enriching the choir and themselves. Rehearsals every Thursday, 7.30 - 9.30 pm at the London Welsh Centre, 157-163 Gray's Inn Rd, London WC1X 8UE. The choir breaks for two weeks at Christmas and two weeks in August.